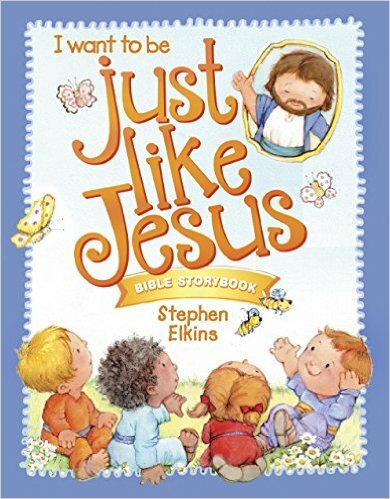 Today I’m reviewing the Just Like Jesus Bible Storybook by Stephen Elkins, published by Wonder Kids, a division of Tyndale. This retails for $14.99 (currently $10.95 on Amazon). Text is minimal, so attention span for a young child shouldn’t be a problem. As far as the content is concerned, first of all, this isn’t what I would consider a Bible storybook per se. When I think of Bible storybooks, I think of The Jesus Storybook Bible or The Child’s Story Bible or The Big Picture Story Bible. 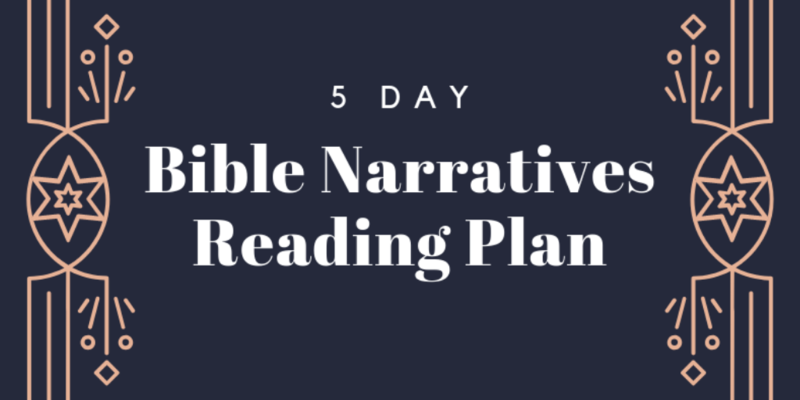 (Scott has reviewed some of our favorite story Bibles–with the exception of Catherine Vos’ The Child’s Story Bible, which we discovered later–here.) This doesn’t have Bible stories in it. It references Bible stories when talking about the virtues. Most (if not all) of the references are from the Gospels, but there’s nothing chronological or storylike about them, since that’s not the point of this particular “Bible.” I’d call this more of a Just Like Jesus book. It’s not a Bible, and it’s not a story (or stories). It’s virtues or character traits that Jesus had and that we should have. There’s nothing wrong with that, but I just think to call it a Bible Storybook is a bit misleading. This book is a very basic introduction to virtues. It could be used as a good first building block for toddlers or preschoolers if you wanted to spend, say, a week working on each specific character trait. You could read a little chapter, pray together, and then think of ways to implement this virtue in your home. You’ll be on your own for this last part, however, because even the “Jesus in Me” sections don’t provide much, if any, practical suggestions. You’ll need to flesh this out to really be of benefit, even to very little ones. The concept of this book is valid, though–to teach a child to pattern his life after Christ. There is some silly language, likely intended to appeal to young children. For example, in the first story the author says that “Jesus was the greatest superhero of all.” Not the greatest way to imagine Christ, in my opinion. I’d definitely edit out phrases like that if I were reading this to a toddler/preschooler. This type of phraseology isn’t frequent, however. There are a couple of sketchy definitions of character traits in here, such as “Mercy is helping those who cannot help.” Well, sort of… I guess in the sense of mercy ministry, but that’s certainly not how I define mercy for my kids! All in all, this book (not Bible Storybook) would be fine to use with small children if you have it or it’s gifted to you. As long as you keep your wits about you when you’re reading, you could make this book useful. However, unfortunately, I wouldn’t spend my money on it. Disclaimer: Tyndale provided me with a free copy of this book in exchange for my honest review.